People across West Virginia have come together to show love and acceptance for all. 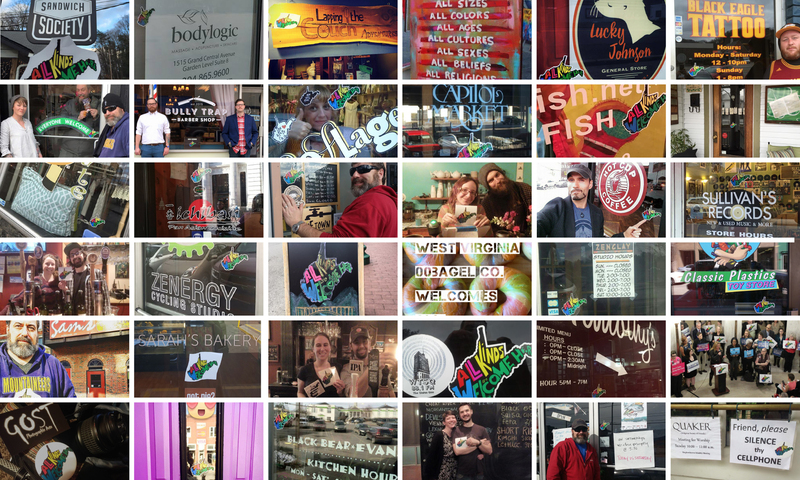 This page provides a (work-in-progress) list of businesses and organizations that proudly display the All Kinds Are Welcome Here message. To have your business or organization added to the list, please complete this short survey. To have your business or organization featured in photos on our website or social media pages, email a high-quality photo to allkindsarewelcomeherewv@gmail.com. The All Kinds Are Welcome Here logo may not be used for profit. Businesses wishing to sell All Kinds merchandise must complete a partnership agreement.